In a damage control move that probably should have happened a long, long time ago, Walt Disney World officials have finally opted to take down their Bill Cosby statue. 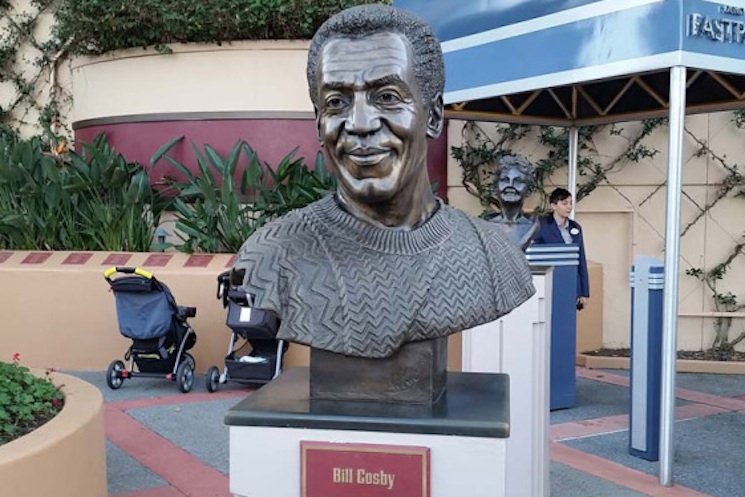 A spokesperson from the Florida resort told NBC News (via Variety) that the resort opted to remove a bronze bust of Cosby's head from their grounds on Tuesday (July 7). This follows the recently revealed deposition from 2005 where Cosby admitted, among other things, to purchasing Quaaludes with the intent of drugging women for sexual purposes. An online petition has been asking the amusement park to take down the statue for months, and following the unsealed documents they finally obliged. The statue had been displayed in the television wing of the park's Hollywood Studios theme park.